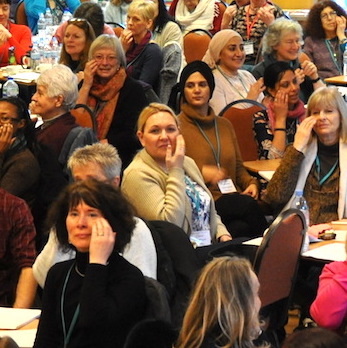 Our inspiring and uplifting annual tapping community event the EFT Gathering was January 2019 in Ilkley. If you couldn't be with us you can purchase our high quality audio recordings. Or wait till next year and get them as early bird gifts. You can also get the EFT Gathering 2018 recordings. These audios and many more are free for members of the EFT Guild a community of support and learning for EFT Practitioners. The EFT Guild is open to all who have completed EFT training to Level Two. Quality audio recordings of the two days of the 2019 EFT Gathering, counts as 12 hours of further learning. Pay with your card and we will email you the link and password. Get another 12 hours of EFT Gathering recordings from 2018 including an extended special session with Gary Craig, a dynamic hour with Ulf and Gunilla, Meridian Energy from Gwyneth and Mentoring with Jondi Whitis.